(Aristocratic warriors / Bushi) came to dominate. It is during this period that Ju-jitsu first developed as an open-field art of combat and then more and more as a physical and mental study. The Golden Age of Ju-jitsu lasted until 1869, date in which the Emperor’s return to Japan and the subsequent abolition of Feudalism made the Samurai lose their status of privileged class. Samurai radition nevertheless kept Ju-jitsu alive and travellers brought the Art to all four corners of the world. In more recent years the essence of some Martial Arts, such as Judo and Aikido, has developed from Ju-jitsu concentrating on specific aspects of their Martial Art forefather. Its international governing body was established in 1977 – based on a document originated by Italy, Germany and Sweden in order to develop the sport aspect of Ju-jitsu. Since then the Ju-Jitsu International Federation (JJIF) has become a structured federation organised in Continental Unions, coordinated by a central Board and supported by specialised Committees. Federations (G.A.I.S.F), Member of International World Games Association (I.W.G.A – third pole of the Olympic movement along the Summer and Winter Games) and affiliated to the Sport for All Federation (F.I.S.p.T). (every four years) only in the categories for which they have qualified. embrace attack (or necklock), hit attack (punch or kick) and armed attack (stick or knife). Female categories 55kg, -62kg, -70kg, +70kg). 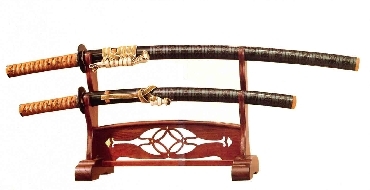 The actual combat is divided in three phases (Parts): Part I sees the Jutsukas involved in distance combat (controlled attacks with arms and legs and atemis of various nature). Once a grab has been made the Fight enters Part II and hits are no longer allowed. 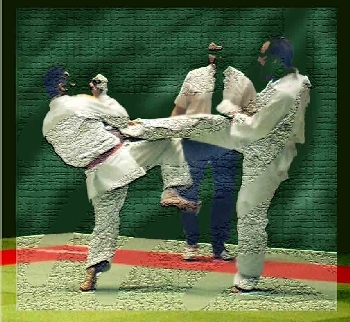 The Jutsukas try to bring one another down with various throwing techniques (and points are given according to how “clean” and effective the action was). Once down on the tatamis (mats) the match enters its Part III. 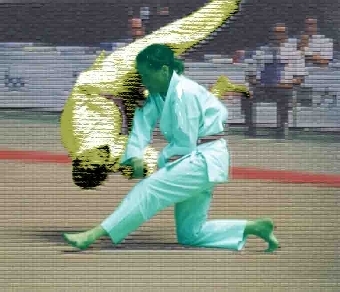 Here points are given for immobilisation techniques, controlled strangulations or levers on body joints that bring the opponent to yield. The winner is the Jutsuka who has accumulated most points during the fight. Automatic victory is assigned to the Jutsuka who gets an “Ippon” (clean action, full points) in all three Parts or who outscores his opponent with a 14 point score difference by the end of round one. This type of competition requires timing, agility, strength and endurance.